The iPad is back, baby! No new iPhone, no problem for Apple’s bottom line. The company just reported its third quarter results for fiscal year 2017 and they’re awfully good: $8.7 billion profit, or $1.67 per share, on revenue of $45.4 billion. That breaks down to 41 million iPhones, a slight increase from the third quarter of 2016, when Apple moved more than a little more than 40 million handsets. Sales were down when compared to last quarter’s 50.7 million, however. But the big surprise was the iPad. On the back of the new 10.5-inch iPad Pro released at WWDC in June, Apple moved 11.4 million tablets, its biggest non-holiday quarter for the tablet in more than two years. That’s an increase of nearly 30 percent from last quarter and 15 percent from Q3 2016. 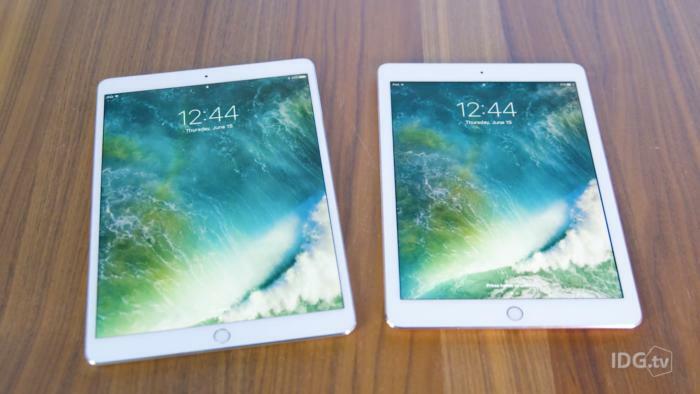 However, revenue from tablet sales was only up 2 percent, suggesting people may be opting for cheaper models. Apple’s stock spiked more than 5 percent on the news. The quarter ending June 30 also saw releases of new MacBooks and iMacs, but the new products didn’t have as much of an effect on Apple’s bottom line. During the previous three months, Apple moved 4.3 million Macs, roughly the same as it sold last year. Apple CEO Tim Cook highlighted Apple’s Services revenue, which pulled in $7.3 billion, an increase of 22 percent from the same quarter last year and a record high: “With revenue up 7 percent year-over-year, we’re happy to report our third consecutive quarter of accelerating growth and an all-time quarterly record for Services revenue,” he said. In a conference call, Cook praised Apple’s results, saying the company enjoyed growth in all product categories. In particular, the iPhone 7 was a strong performer, with sales of the Plus model up ”dramatically” over the same quarter last year and showing “strong double-digit growth” for the family. Consequently, the iPhone's average selling price increased from $595 to $606 year over year. He also spotlighted iPad sales, saying more than half of customers were buying their first Apple tablet. Additionally, the Mac was a big hit in China and Japan, with the two countries posting record unit sales. While Apple doesn’t break out its watch sales, Cook said sale were up over 50 percent year over year. Looking ahead to the fourth quarter, Apple expects revenue between $49 billion and $52 billion, suggesting the usual iPhone launch toward the end of September.